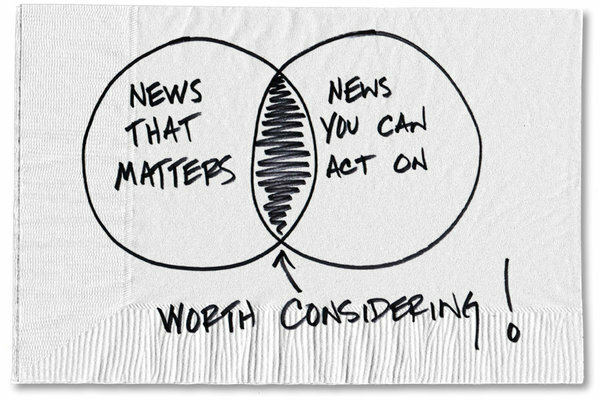 When we see a story in the news repeatedly, we have a tendency to think it must be important. Thinking something is important often means we feel we should do something about it. In the whole scheme of things, what’s really worth considering the most is the New Yorker cartoons.